Faking experience has been proven dangerous for those who bought fake experience certificates without working on real projects; many such working people were fired and their careers devastated by one wrong desperate decision. How IT Industry is transitioning from Traditional resourcing and staffing to temporary staffing and Why ProjectSchool Certified/Registered Consultants are best for IT Industry? Information Technology domain is continued to be the preferred discipline of Technology job seekers due to the lucrative pay packages, overseas opportunities and additional facilities. Although Computer Science and Engineering, Electronics & Communication Engineering, Electronics & Instrumentation Engineering and Electrical Engineering students usually opt for such jobs, there are still few opportunities for other disciplines. Students of all engineering discipline should seek proper counselling from mentors before questioning self-eligibility. 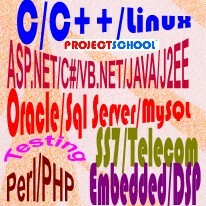 Since 2005 many freshers have been given an opportunity to work in real live projects & gained real experience. Special Learning-By-Fun STEM School projects from 8th grade onwards are available based on C/C++ Language, Electronics and Micro-controllers. STEM students just love to explore more and more variations using real-life scenarios.